Interested in more information or a tour of our NORTHERN VIRGINIA/D.C. data centers? Our Northern Virginia data centers are Tier 3-design, powered by INAP’s Performance IP and located on the doorstep of Washington, D.C. They provide a highly secure, reliable environment to house your mission-critical data and business applications. Our Northern Virginia/D.C. 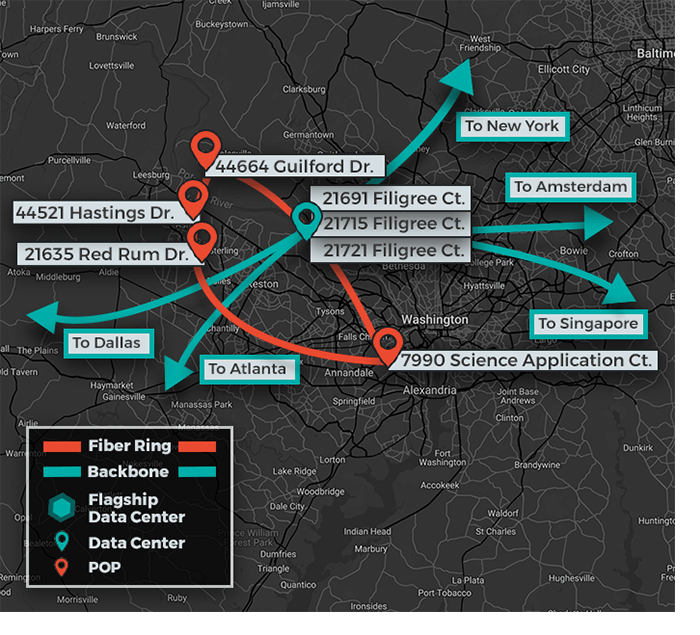 data centers connect to Dallas, Atlanta, New York, Amsterdam and Singapore via our reliable, high-performing backbone.